Every year, our Halloween costume selection is a big hit, and this year’s will not disappoint! Check out sthese amazing movie inspired costumes that are either super cheap or even free, depending on what’s in your wardrobe! 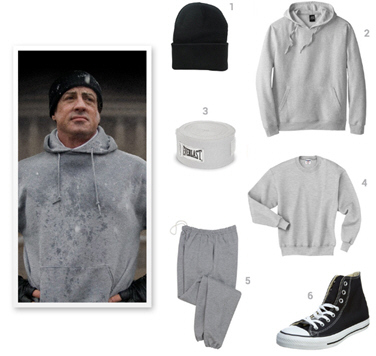 Rocky Balboa: because who doens’t already have some grey sweatpants, a pair of Converse and a black beanie? If you’re missing one of these items you can buy them here. 2. 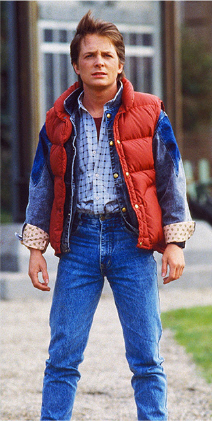 Marty McFly: you may not own a Delorean, but you may have a red vest, a denim jacket and a checkered shirt lying somewhere! And in lieu of an overboard, you can always take an old skateboard with you. 3. Harley Quinn from Suicide Squad. 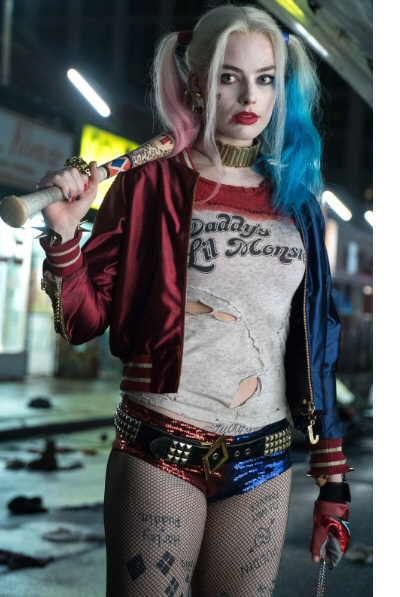 On top of a red/white baseball shirt, some shorts and fishnet stockings, you won’t need much to look like Harley quinn! For the hair and make up, follow this tutorial. 4. 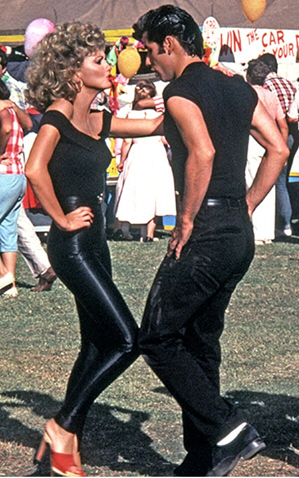 Sandy and/or Danny from Grease. This one is for (lazy) couples! Grab an all black outfit, some high heels and /or black shoes (with white socks!! ), hair gel (a lot!) and you’re done. 5. 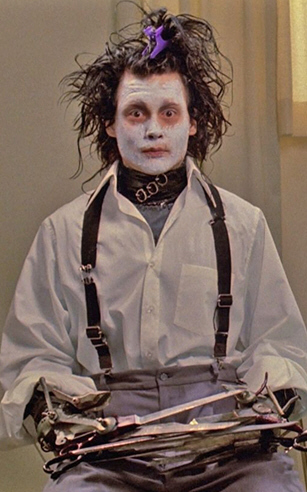 Edward Scissorhands. Got a white shirt? Then just borrow some black suspenders and some pants from your grandpa ! Apply some white makeup on your face, and once you’re done, tape some (non sharp) knives to a pair of black gloves. Won’t be the ideal costume to grab a drink but you’ll be the highlight of the party! 6. 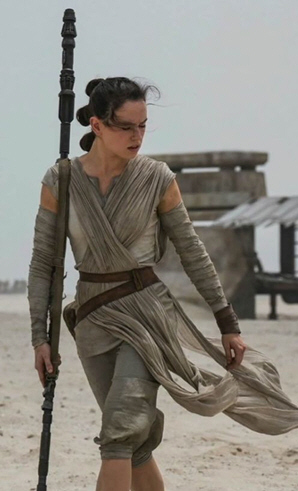 Rey from Star Wars. A new classic for Halloween that only requires a long brown belt , some beige leggings and a long beige scarf. 7. E.T. 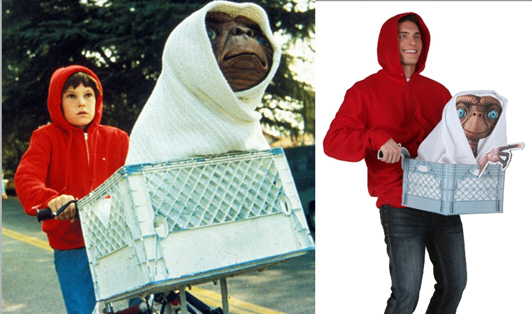 This “adult Elliott” costume is very easy, yet super original, providing you own a red hoody and an E.T. printed figure which you can fit in a basket and carry around with you. For more ideas , check out our TV series costume selection, our Game of Thrones Halloween special and our Pinterest board!